“Summit” can do 200,000 trillion calculations per second (200 petaflops) which is far greater than China’s “Sunway TaihuLight”, who has a peak performance of 93 petaflop. Taking the country a step closer to its goal of developing and delivering a fully capable exascale computing ecosystem for broad scientific use by 2021, the US Department of Energy’s Oak Ridge National Laboratory (ORNL) has unveiled “Summit” the world’s most powerful and smartest scientific supercomputer that can perform 200,000 trillion calculations per second. “Summit” beats China’s “Sunway TaihuLight” who has held the top position until now. 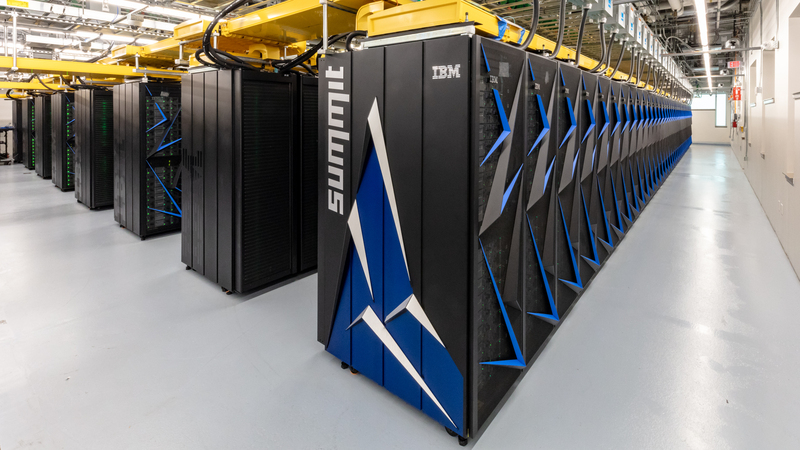 With the performance of 200 petaflops, “Summit” is eight times more powerful than ORNL’s previous top-ranked system Titan (27 petaflops) and 60 percent faster than China’s Sunway TaihuLight that had a 93 petaflop peak capacity. 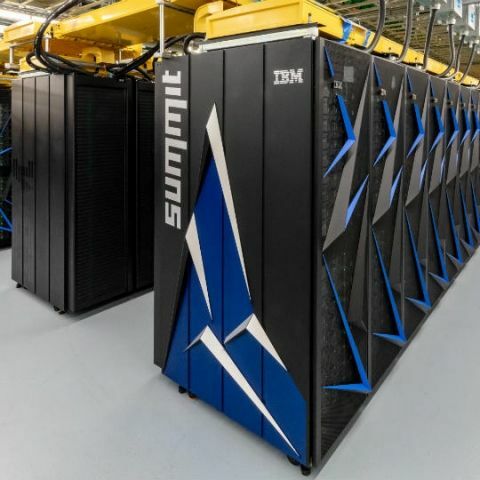 For certain scientific applications, “Summit” will also be capable of more than three billion billion mixed precision calculations per second, or 3.3 exaops and will deliver unprecedented computing power for research in energy, advanced materials and Artificial Intelligence (AI), among other domains, enabling scientific discoveries that were previously impractical or impossible. “Today’s launch of the Summit supercomputer demonstrates the strength of American leadership in scientific innovation and technology development. It’s going to have a profound impact in energy research, scientific discovery, economic competitiveness and national security,” said Secretary of Energy Rick Perry. The supercomputer has been co-designed by IBM and NVIDIA. The IBM AC922 system consists of 4,608 compute servers, each containing two 22-core IBM Power9 processors and six NVIDIA Tesla V100 graphics processing unit accelerators, interconnected with dual-rail Mellanox EDR 100Gb/s InfiniBand. “Summit” also possesses more than 10 petabytes of memory paired with fast, high-bandwidth pathways for efficient data movement. According to ORNL Director Thomas Zacharia, ORNL scientists were among the scientific teams that achieved the first gigaflops calculations in 1988, the first teraflops calculations in 1998, the first petaflops calculations in 2008 and now the first exaops calculations in 2018. Summit will be open to select projects this year. In 2019, the bulk of access to the IBM system will go to research teams selected through DOE’s Innovative and Novel Computational Impact on Theory and Experiment, or INCITE, programme. In anticipation of the supercomputer’s launch, researchers have been preparing applications for its next-generation architecture. Among the early science projects slated to run on Summit are Astrophysics in which it will help scientists understand exploding stars (known as supernovas) by supplying them with clues related to how heavy elements—including the gold in jewelry and iron in blood—seeded the universe. “Summit” will also help researchers develop the next generation of materials, including compounds for energy storage, conversion and production, that depend on subatomic understanding of material behaviour. With “Summit”, scientists can develop tools for cancer surveillance in the US and apply machine learning and AI to genetic and biomedical datasets so that they can accelerate understanding of human health and disease outcomes.